Price: Rs. 244 on Amazon. It is a known fact that I love the mysteries written by Keigo Higashino. The very reason why I bought all of his books that were translated to English in one go. There is something very easy about his writing that reading it feels like a breeze. The mystery builds up page after page and explodes only in the last couple of pages. You cannot predict anything while reading his books. Even if you do, you will be proven wrong at the last minute. You might have a gut feeling about the killer, it maybe right even, but the way it unfolds would be something else altogether. This was one such book for me. Yoshitaka Mashiba has only one aim in life. To become a father. And he is willing to go to any length and take as many wives as he can to fulfill his desire of having a family. His wife Ayane and him have been married for more than a year and there is no sign of her getting pregnant. Ayane is a teacher who teaches how to make patch work quilts in a school of her own. Slowly, she is offloading her duties onto her assistant Hiromi. Yoshitaka is clear that he wants to leave his wife and find someone else. Or maybe, there already is someone else. When Ayane leaves to her parents house for a couple of days leaving Yoshitaka alone, she knows of his decision to leave her. She also is aware of the fact that there might be another woman in his life. A day after she leaves, Yoshitaka is found dead in his house by Ayane's assistant Hiromi. The cause of death is arsenic poisoning and coffee seems to be the last drink that the victim consumed. The primary suspect is Ayane, but with her being miles away during the time of the murder how could she have done it? Also, when arsenic is not found anywhere else in the house, how did it get into the cup of coffee made by Yoshitaka? The story here is straight forward with a limited number of characters. But the level of mystery is super high. The police have their gaze on the wife, but Detective Kusanagi who slowly begins to develop feelings for Ayane is sure that she is not the killer. He leans more towards Hiromi and this conflict of interest is noticed by his assistant Utsumi. When Kusanagi's feelings begin to get more and more biased towards Ayane, she decides to call upon Detective Galileo to help her and Kusanagi see things clearly. A Physics professor with the mind of a genius, Manabu Yukawa aka Detective Galileo is more than happy to conduct an investigation of his own on the sidelines and visits the crime scene time and again much to Kusanagi's annoyance. Yukawa's mind is clear on who the killer could be, but without proof, his gut instinct would mean nothing. Then begins the whole charade of digging into the past of the victim and the suspect. This is the most interesting part of every Keigo Higashino novel. The saying "digging up dead horses" seems to be coined for his books alone. The needle of suspicion moves from Ayane to Hiromi and to and fro. When a new link is found in the case, Yukawa pieces it together and cracks the case open. Unlike his other two books, 'The Devotion Of Suspect X' and 'A Midsummer's Equation', this book has a fitted ending with the killer not being able to get away. 'The Devotion Of Suspect X' would always be the best ever mystery for me, but this book comes a close second. The way the story falls into place and the connection between the past and present is mind blowing. It is so hard to believe that someone would go to such extents just to have a child and is happily willing to put love, marriage and all other emotions at stake. It is also hard to believe that someone can live with fear for such a long time and yet nurture it carefully and in secret for the longest time. The book talks a lot about the power of love and the thought of losing it all. How long can someone live with betrayal especially when Yoshitaka, Ayane and Hiromi are all victims of it? The book culminates in the best way possible and the planning behind the murder is topnotch! One of the best undoubtedly. Verdict: Read this for the brilliant plot and the intriguing murder plan. Totally worth it. This goes straight away to my to read list! Thanks for reviewing this one. I had it in my cart for long. If you loved suspect X you will love all the others as well. Give it a try. I love murder mysteries or thrillers in general. I have never read this author before but with the lavish praise that you've heaped, I will put this book on the TBR list. Thanks for the review! Oh you should read his books. Start with suspect X first though! That is a super rating. And I haven't read the author at all. This certainly deserves to be tried out. Another on the never-ending TBR. Tulika, just read his books. He is the best. Tulika, read him like NOW! I am just finishing Midsummer's Equation and next is Salvation of Saint followed by Malice. I am in Thriller heaven right now. 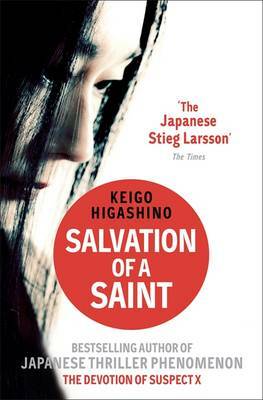 Keigo Higashino's one of the best mystery thriller writers I have ever read. In the event that you are thinking about redoing your washroom to make it look totally delightful and enhance the total estimation of your home then here are a portion of the huge things of restroom rebuilding Los Angeles that you have to consider.